At the Detroit Auto Show last month, I had a chance to sit down with Lexus USA General Manager Jeff Bracken to discuss the new F Performance Racing team and a new pilot program for Lexus dealerships. Lexus Enthusiast: Let’s start off with a recap of last year — what stood out to you about Lexus’ 2015 sales? 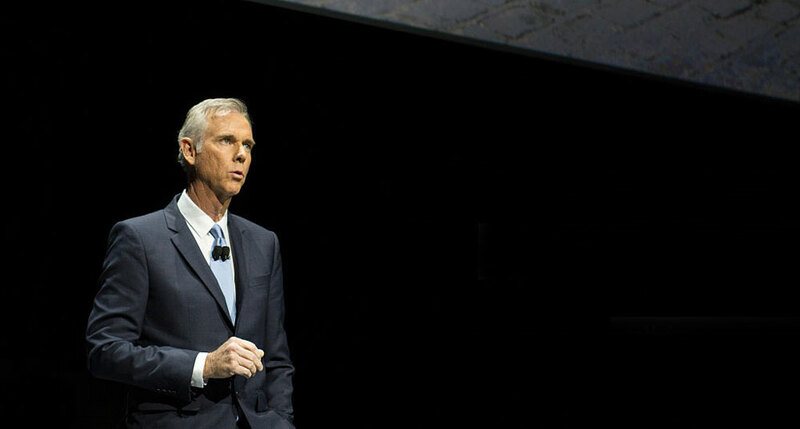 Jeff Bracken: A couple things, starting with resecuring retail luxury leadership. Through October retail registration data, we have about a 15,000 unit lead over Mercedes, and about a 17,000 unit lead over BMW. Based on PIN data through the end of the year, we’ve got about a 2,500 unit lead over Mercedes, and 2,400 unit lead over BMW. This was huge for us. We don’t wake up in the morning trying to figure out how finish in second or third place. One of the more interesting dynamics that took place in 2015, in terms of our lineup, was the 50/50 split in sales between cars and SUVs. Whether that shift is being driven by cost of fuel or just preference for utility vehicles, time will tell, but we have definitely modified our production order to be a little bit more prepared for the popularity of SUVs as we move into 2016. On that topic, are you surprised by the success of the GX? We are, to be honest with you. That’s a platform that’s been around for a while, but since the refresh, the GX has been the lowest day supply high turnover vehicle in our lineup. It’s unbelievable, with some minor changes, how that vehicle has continued to flourish. 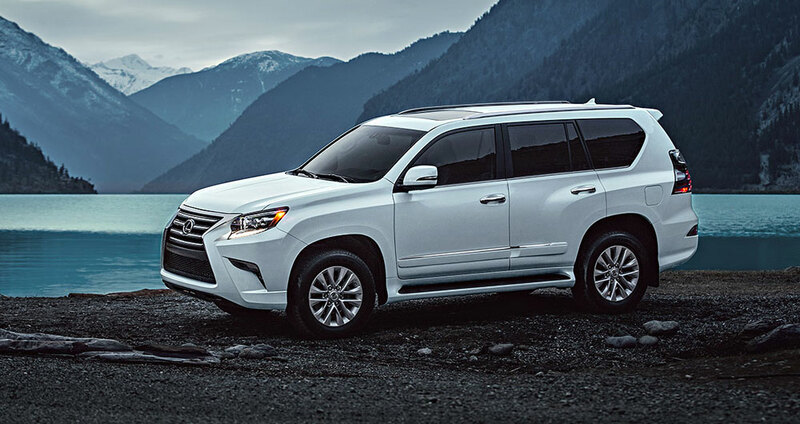 We just can’t get enough of the GX, that’s how successful that vehicle’s been for us. I wish there was great explanation for it, but we’ll take the win whatever the case. How would you rate the first year of RC sales? We came in at about 15,000 for the year. We were trying to sell 18,000 units, and we came about 3,000 short. Candidly, I would say that we set an objective that was aggressive. So, a little bit disappointing. We ordered more than we needed to at the end of the day. Now having said that, not hitting our sales plan, we still ended up with leadership in the segment. I believe it was about 22%, I’m guesstimating a little bit. I’m not disappointed with that performance at all We just didn’t sell as many as we initially planned. Part of it has to be the segment, and the move to SUVs. 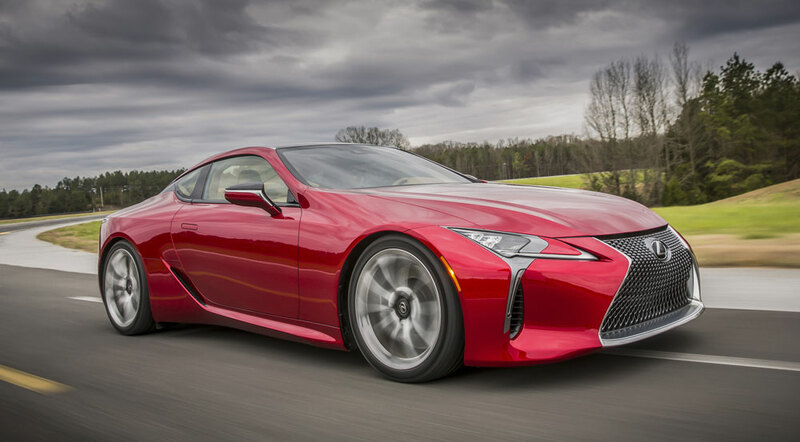 The LC has a very strong strategic position for Lexus, but how do you translate that into sales success? How will you gauge the success of the LC? 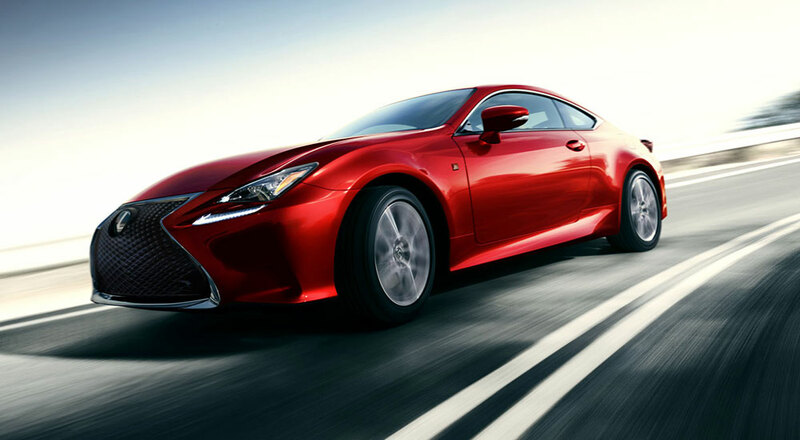 It’s the latest step to build on the model lineup that we have — the current generation IS, the RC and RC F, the GS F, and you could even say NX and RX. From a styling standpoint, we’re trying to expand the appeal of the brand. The LC is just taking it to a whole other level for us. A $100,000 vehicle competing in that luxury prestige coupe segment, where we’ve never been before. I just wish we had it today. Once it arrives in the spring of 2017, we should be up and running. The plan is to sell 550 a month globally, of which 400 will be sold here in the United States. The US dealers will represent about 70% of global volume of the LC 500. I was very surprised, and this is off the beaten track, but I was very surprised there wasn’t an F SPORT model. This is obviously a very purpose-built vehicle, and the fact that you don’t have a tamer version is really going to be a selling point. It was really an interesting choice and an exciting choice. It shows a pride and a willingness to try something different. 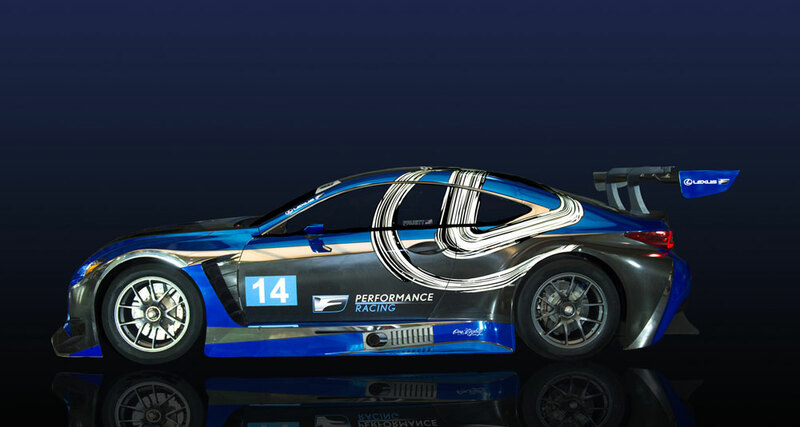 Now with the F Performance Racing and the RC F GT3. They’re going to start racing this season. How do you view this program? As Lexus tries to build on our brand with performance vehicles, it made sense to walk the talk. We should race and show that our engines can compete on the track as well. That’s the exact reason we’re heading down this path with the RC F GT3 and IMSA. Some of the aspects that we’ve been able to publicly announce is our partnership with Paul Gentilozzi and F Performance Racing. One of our drivers will be Scott Pruett, who has had success at all levels of racing. Bringing those two together, along with TRD USA and our parent in Japan, it should be quite the formidable team. We’re stacked up against folks that have been at this for a long long time, much longer than we have. We will be as aggressive as anybody on the track, once we start, once we make the decision to jump into the races. Paul and Scott and the team, like us in sales, they get into this thing to compete, to win. Are you planning to build anything around your racing program that will be directed at enthusiasts? Have you considered development of an official owner club? Great question! That will come in time. I think we’ll begin with racing, and then it would evolve into owners clubs. Porsche and Ferrari both do a good job at that. So, there’s no reason to believe we won’t succeed and eventually roll that out as well. I was talking with Scott Pruett at a Palms Springs event last year, he was very confident about being on the podium in the 2016 season. His confidence is so refreshing. Scotts’s an impressive guy. The guy’s driven, you can see why he’s so successful at whatever he does, with his racing or his wine. This is a guy that we couldn’t be happier with. IMSA is a race where you actually have two drivers, so we actually have another driver that will be coming in. Scott is more my generation, clearly experienced, one of the best ever. We’ll have a driver to support him that’s younger, so we cover both aspects — not just the competitive aspects, but the generational aspects as well. Makes sense, you’re building a program. This isn’t just something that’s in one year and out the next. This is not a flash in the pan program, this is something we’re committed. We’ve set the money aside, and everyone’s on board. 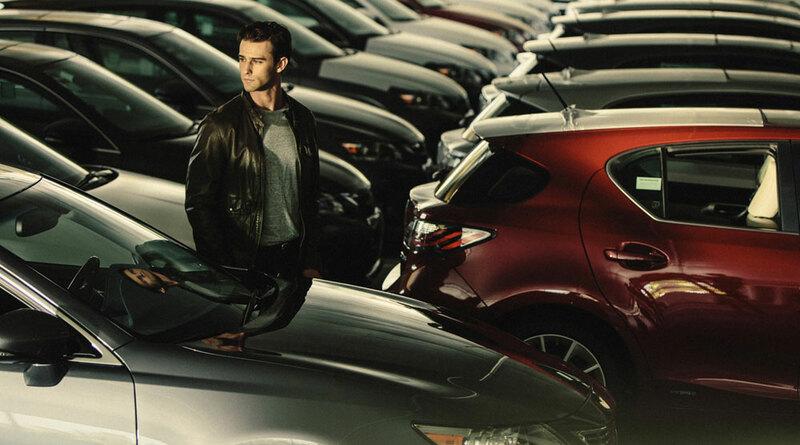 One last question, and it’s about something you mentioned to me in passing — a new program called Lexus Plus. Lexus Plus is a volunteer program with about a dozen dealers. They’ve raised their hand to participate in a negotiation-free, single point of contact sales experience. Effectively, it’s for all the products that a dealership sells, whether it’s new or pre-owned or parts or service. We’re extremely excited about it, but it’s nothing we want to force onto our 235 Lexus dealers. There are some dealers that are philosophically opposed to the program, but we think there’s a segment of population that are looking for a different business model. The negotiation-free program could really play well. As with motorsports, we’re committed. We will go live on April 1st. We know that there are millennials, Gen X, Gen Y — they don’t even want to go into a dealership. I’m not saying one model is right or wrong, it’s just a fact of the marketplace. We need the younger generation to consider us, and if we have a sales process they don’t want to use, that’s a problem. That’s one of the strong motivations for this pilot program. Jeff, thanks for this interview. Thanks for taking the time out of your schedule to meet with me. GSCT: Another good interview! Now I'm looking forward to an interview with Akio Toyoda.